Cindreia Europe died when a Utah officer with a history of bad driving ran her over. How did this happen? All signs pointed to Cindreia Europe coming home to her mom this month. She’d been gone since Sept. 10, 2017, when Europe left her mom’s home in Georgia without much luggage and no fanfare. LaToya Mack said her daughter just drove away on that otherwise normal Sunday. Mack said she knew the situation was serious when she discovered Europe had left behind her beloved stuffed animal, a bear also named Cindreia, giving it to the family dog, who promptly destroyed it. Mack said she hadn’t heard from Europe since that day, but she has spoken with psychics, and had her cards read, and everything foretold Europe returning soon. “I didn’t know it was going to be this way,” Mack said. 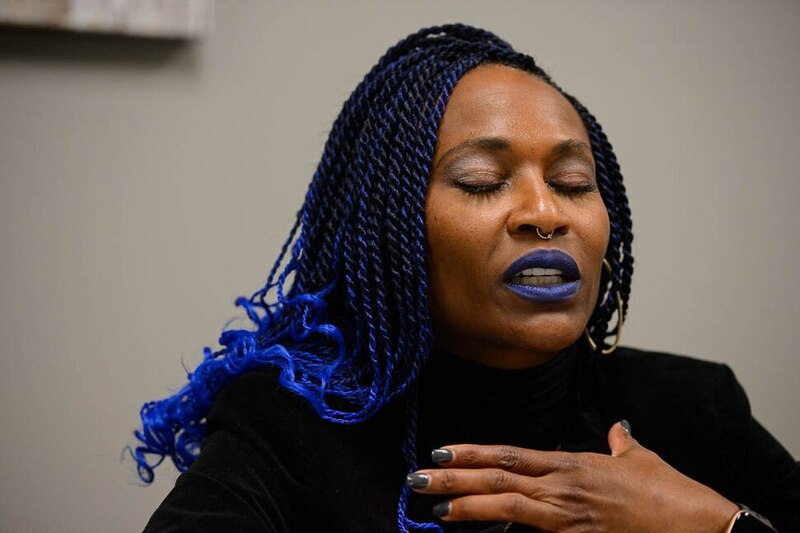 (Trent Nelson | The Salt Lake Tribune) LaToya Mack talks about her daughter, Cindreia Simone Europe, in Murray on Friday March 29, 2019. Europe was run over by a Unified Police Department officer in a Millcreek parking lot on March 5 2019. 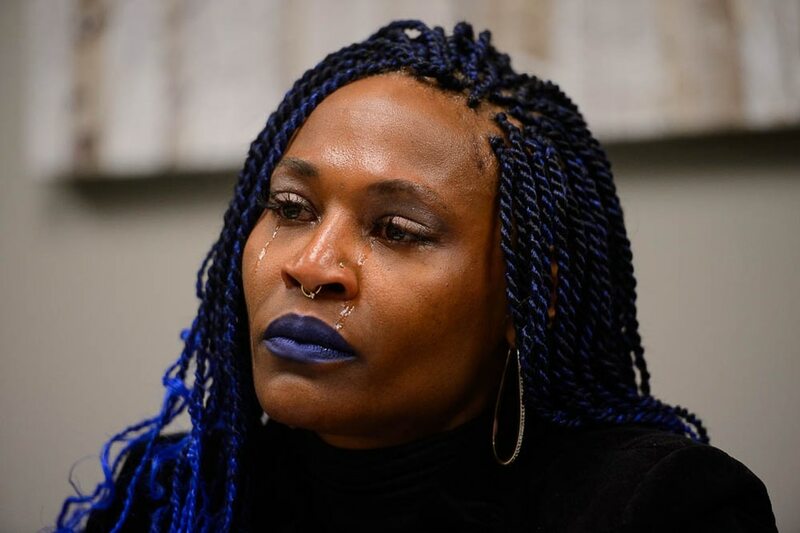 (Trent Nelson | The Salt Lake Tribune) LaToya Mack talks about her daughter, Cindreia Simone Europe, in Murray on Friday March 29, 2019. Europe was run over by a Unified Police Department officer in a Millcreek parking lot on March 5 2019. 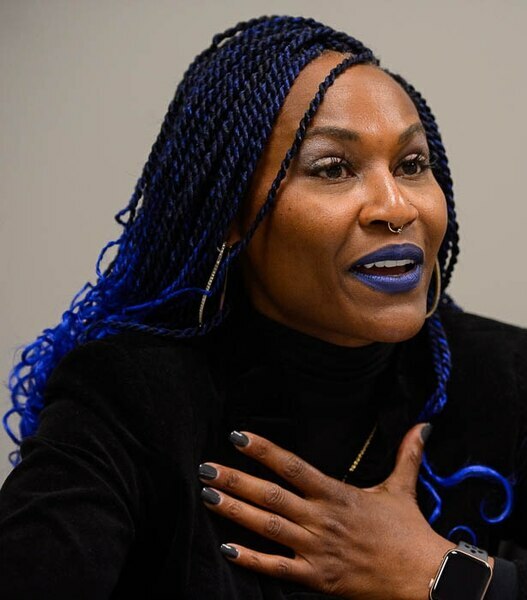 (Trent Nelson | The Salt Lake Tribune) LaToya Mack talks about her daughter, Cindreia Simone Europe, in Murray on Friday March 29, 2019. Europe was run over by a Unified Police Department officer in a Millcreek parking lot on March 5 2019. (Trent Nelson | The Salt Lake Tribune) LaToya Mack talks about her daughter, Cindreia Simone Europe, in Murray on Friday March 29, 2019. Europe was run over by a Unified Police Department officer in a Millcreek parking lot on March 5 2019. Europe, 23, died March 5 in a parking lot in Millcreek, near 3300 S. 2300 East. She was run over by a Unified Police officer sent there that night to make sure Europe was OK. Police have said it’s unclear if Europe died before or after being run over. They also have declined to name the officer responsible. But Mack’s attorney Eric Hinckley and FOX 13 sources have identified the driver as Megan Franklin, a former West Valley City officer with a history of poor driving. In her eight years as a West Valley City police officer, Franklin was involved in seven car crashes the department deemed both “preventable” and Franklin’s fault, according to disciplinary records given to The Salt Lake Tribune through an open-records request. Records show that her driving history was concerning to police officials, who noted a “pattern of poor attention to proper driving tactics” after her seventh and final crash in May 2017. Franklin resigned from West Valley City in November 2017, and started working for UPD in December. Hinckley said the family is wondering what kind of background check happened between that move. Did UPD know about the seven prior crashes in a patrol vehicle? Mack also wants to know what happened the night Europe died. Once Mack gets that information, she said she is ready to do what it takes to make sure those responsible are held accountable. But Mack must wait until police finish investigating. UPD hasn’t said much about the case because they enacted the Officer Involved Critical Incident protocols, which designates an outside department investigate the case. UPD spokesman Ken Hansen told reporters after it happened that an officer was called to the parking lot on a report of a “man down" at 10:51 p.m. Normally, officers will find the subject of those calls slumped against a wall, he said, but in this case, the person was in the parking lot, about 30 or 40 feet west of a Zions Bank branch. The officer ran over that person, who Hansen said was wearing dark clothing. According to Franklin’s West Valley City police disciplinary records, she was prone to running over large objects with her patrol car. After her last crash in May 2017, where she ran over large rocks, damaging her patrol vehicle, then-Police Chief Lee Russo wrote that “previous corrective efforts appear to have little corrective effect in changing your driving behavior,” and said if her driving doesn’t improve, she could be fired. Records show that Franklin was ordered to be suspended from work without pay for a total of 70 hours because of these crashes. Franklin was also issued a letter of reprimand related to her driving on March 4, 2012. According to the letter, a citizen called West Valley City police’s Professional Standards Section to report an officer was speeding in an HOV lane on Interstate 15. This was at 3 p.m.
An hour later, another person called professional standards to report a West Valley City officer driving 90 mph in the HOV lane and weaving in and out of traffic. “After an investigation, it was determined that the officer was you, in both instances,” West Valley City police Sgt. Robert Hamilton wrote in Franklin’s disciplinary order. The documents also describe several other instances of misconduct, such as not showing up for court despite being subpoenaed to attend and destroying her work-issued voice recorder when washing her police uniform. Franklin’s last disciplinary order was dated Sept. 2, 2017. On Oct. 25, 2017, she sent a resignation letter to Chief Colleen Nolan. Franklin said working at the department “has been the honor of a lifetime,” and that she’ll “cherish forever” all she learned on the job. Mack said Europe had always been unique. Her daughter never had a lot of friends and preferred spending time alone in her room reading books. Europe learned to read at 3 years old and always excelled academically. She especially loved science and was always experimenting and tinkering with creations in her room. 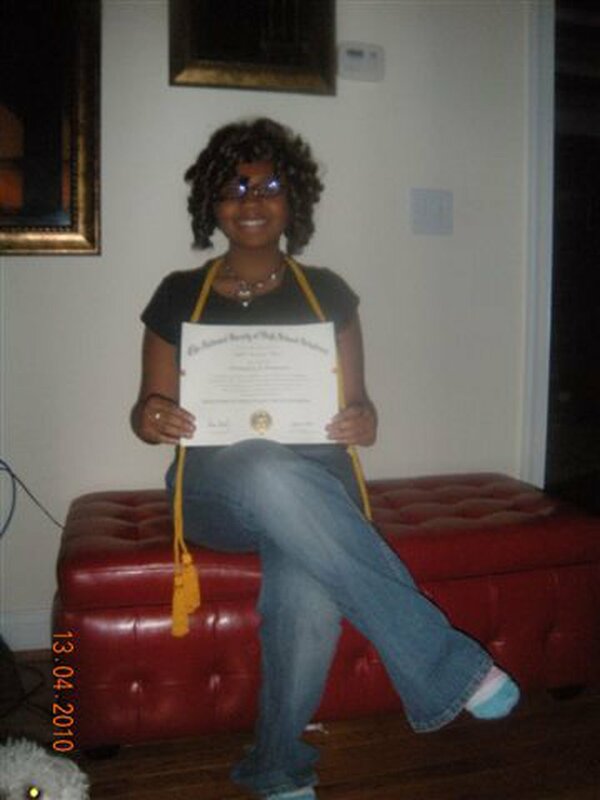 (Photo courtesy LaToya Mack) Cindreia Europe poses for a photo with her National Merit Scholar certificate. Europe was also independent and kept a lot of things to herself. Mack said Europe wasn’t so much withdrawn as nonchalant. Europe didn’t tell her mother she’d been accepted to Emory University with an almost full-ride scholarship until the week before classes started. Sometimes Mack would go weeks at a time without hearing from her daughter when she was at school. It wasn’t strange. It was just how Europe was. Europe planned to go to medical school, but ultimately dropped out of college with just a class remaining for her bachelor’s degree. This happened around the time of her father’s death, which hit both women hard. In retrospect, Mack said there are some memories that show Europe was struggling. She had all the potential in the world, but didn’t know what to do with it. One time, she told her grandfather she didn’t want to do anything, that she just didn’t care. “I wish that I had seen that, and seen it louder," Mack said. Mack knows now her daughter was depressed, but she doesn’t know what prompted her daughter to leave home two years ago, why she never reached back out to her family, or why she decided to come to Utah, where it seems she spent her time just as she did at home, reading and writing. She also tutored kids and worked at a rehabilitation center in the valley. As far as Mack knows, her daughter didn’t have any substance abuse issues or a criminal history. She was just unique, “just making her way." And somehow that brought her to Utah, where she apparently spent her nights in her car, moving from parking lot to parking lot. That is, until the car was impounded. Leaving Europe, apparently, to sleep on the ground, where she died. 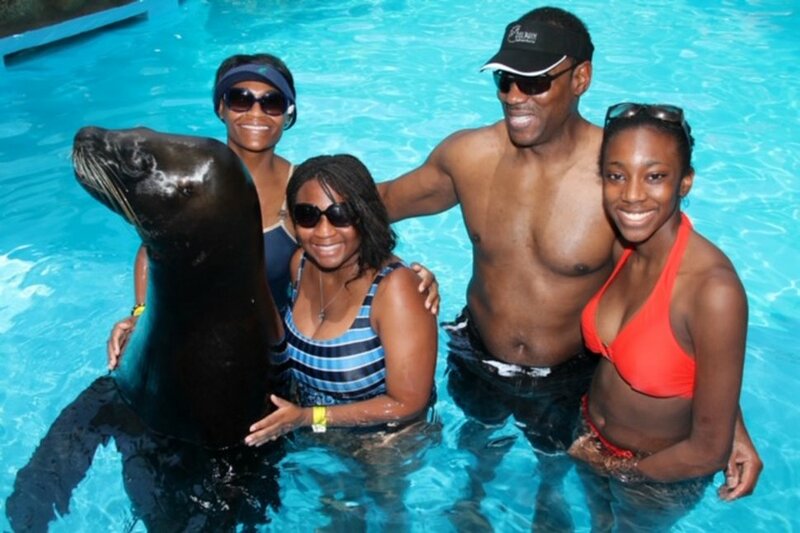 (Photo courtesy of LaToya Mack) LaToya Mack, Cindreia Europe, step-father Darren Mack and step-sister Darian Mack pose for a photo while on a vacation in Mexico. Correction: 10:56 a.m. • March 30, 2019, An earlier version of this story misspelled the name of former West Valley City Police Chief Lee Russo. It has been corrected. Correction: 10:12:31 p.m. • An earlier version of this story misspelled the name of Cindreia Europe's mother. It has been corrected.